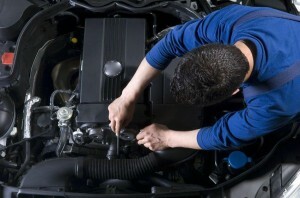 If caught early on, auto cooling system repair doesn’t have to be a major expense. If your car is overheating (the temperature gauge is showing in the red), if you constantly have to add antifreeze to your cooling system, or if you frequently see puddles of antifreeze form under your car, you may need car cooling system repair. If you notice any of these problems in your vehicle, take it to Advantec Auto Repair in San Diego right away. Don’t continue to drive your car day after day ignoring the leak or the smell coming from your air vents. The ignore-it-and-it-will-go-away type of thinking will almost always get you in trouble when it comes to auto repair, especially cooling system maintenance. Unfortunately, the problem probably won’t go away but will only get worse if you do nothing. Don’t turn a minor repair turn into a major engine replacement or head gasket issues. Drive your car immediately to our San Diego auto cooling system repair shop for a complete diagnosis and a quick quote on your cooling system service cost. So bring your automobile to Advantec Auto Repair. We’re a family company and our ASE-certified technicians will treat you and your automobile right. We offer reasonable prices and can repair your car the same day so you can get back to your life as quickly as possible. We have been providing auto cooling system repair in San Diego for 25 years so you can trust we’ll repair your car right. Come in today!